Better. The best chicken strips I’ve ever made…maybe!? These homemade chicken strips are so, so, so, so much better than other chicken strips. I think it’s the combination of the salty potato chips with the sour cream and paprika based dipping process. Oh, and the fact that the kids made these completely on their own. 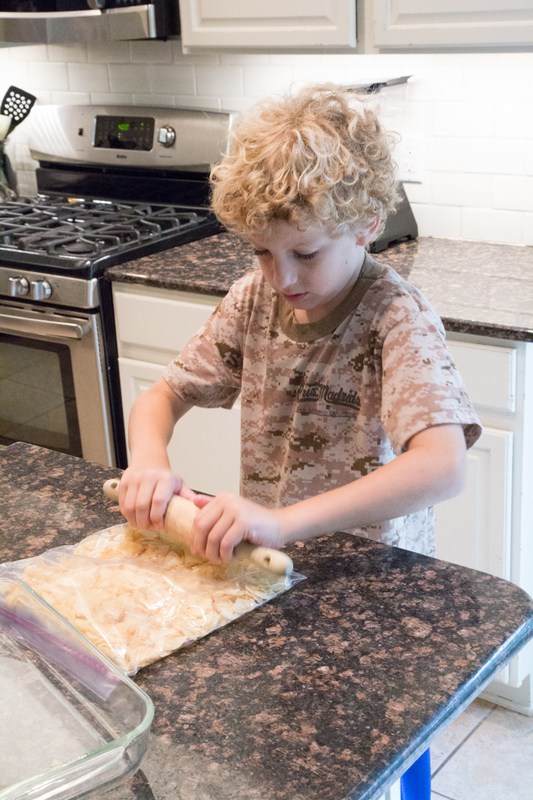 My oldest son is 10 years old and I’m really working hard to get him to learn some basic skills and tasks in the kitchen. What better recipe/meal to have him help out with than his beloved chicken strips. He also declared these better than other chicken strips! Dip in sour cream-egg mixture. Dip and roll in the potato chips. I demonstrated the first one and he did the rest. It warms my heart knowing that my boys will at least know how to make their own meals when they are older! 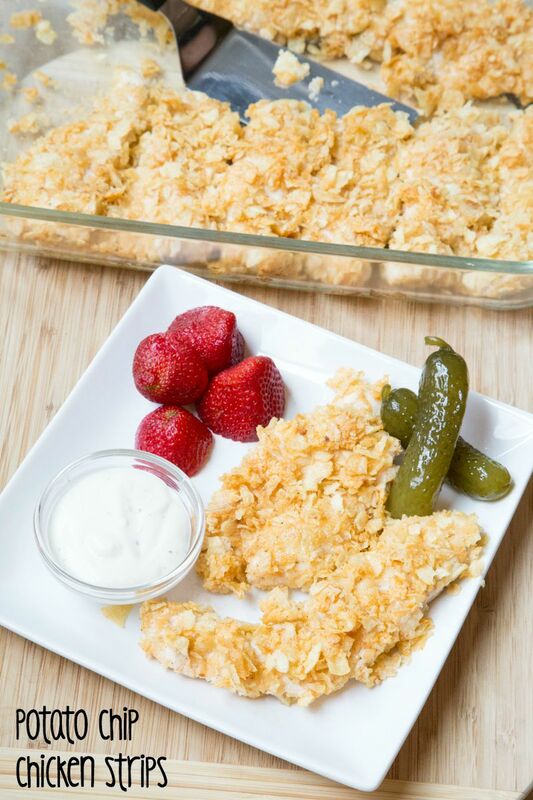 And now for the recipe….get your stations set up and make these amazing potato chip chicken strips! Preheat oven to 400. Lightly spray a 9×13-inch baking dish with non-stick cooking spray. In a small bowl, whisk together the egg, sour cream, onion powder, paprika, salt and pepper. Place the crushed potato chips in a shallow dish. Dip each chicken tender into the egg-sour cream mixture, then coat with potato chips and place into the baking dish. 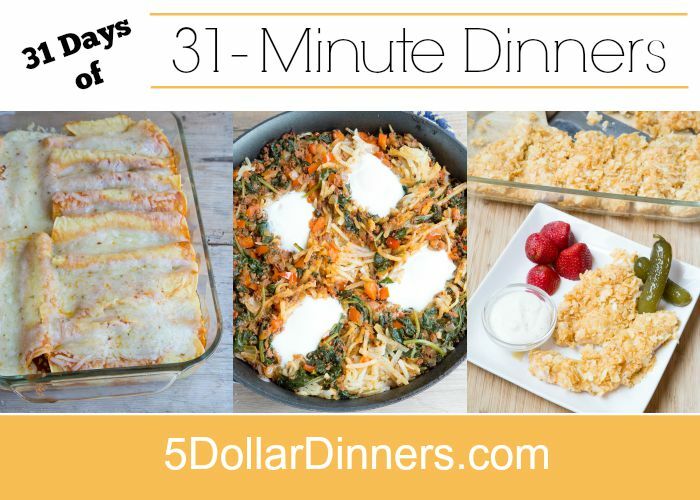 Bake in the preheated oven for 8 to 10 minutes, or until all chicken pieces have cooked through. Cooking time may vary depending on thickness of your chicken tenders. 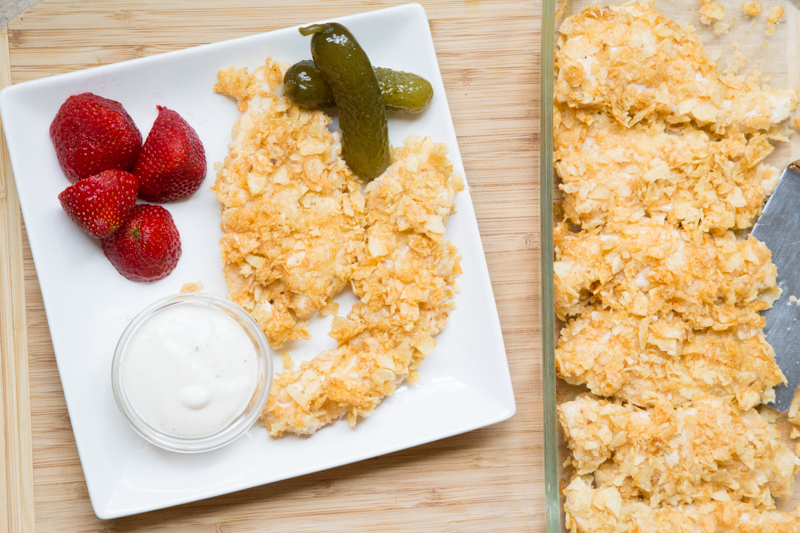 Serve Potato Chip Chicken Tenders with fresh fruit and ranch dressing for dipping.